Rocks Pack - 18 unique models. Additional textures for normal, height and spec maps are included. 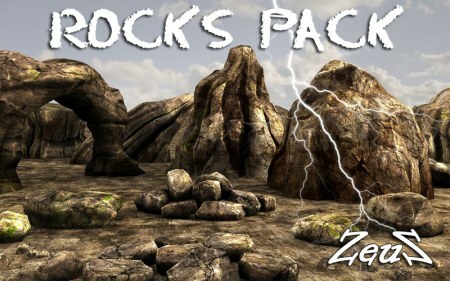 Description: This pack contains 18 unique models. Texture size: most of them are 2048x2048 and many rocks share the same texture for faster loading. A real pleasure to have you back, mr Zeus, thanks a lot! Merci encore Mr ZEUS !!! All bigs thanks you to Mr.ZeuS!